WEDNESDAY, FEBRUARY 28 6-9 P.M.
A benefit for two community organizations working together to enrich the cultural vibrancy of Dearborn. On stage at the Michael A. Guido Theater, Ford Community & Performing Arts Center. Mayor John B. O’Reilly, Jr.
Dinner and entertainment on stage at the Michael A. Guido Theater Ford Community & Performing Arts Center, Dearborn Community Fund and Dearborn Community Arts Council are both 501(c)3 non-profit organizations organizations. 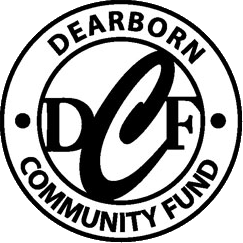 The easiest way to stay current with the Dearborn Community Fund.